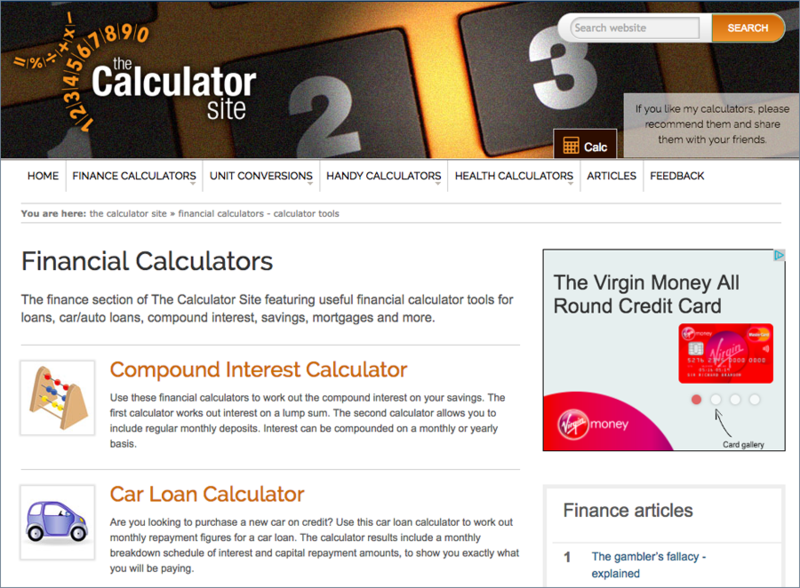 With over three million monthly visits, The Calculator Site has become a much-loved resource for people attempting financial calculations and unit conversions. Spotting an opportunity to create a useful standalone converter tool, Alastair developed The Calculator Site in 2004. Initially running it as a hobby, Alastair has regularly added new tools and functionality to the website to ensure its fresh feel. The Calculator Site is in the top 3,500 websites in the United States and top 250 websites in the United Kingdom, as reported by Quantcast. It reaches over 2.6 million people every month, serving them over 3.5 million pages. The Calculator Site has been commended by many for its functionality and ease of use. Here are a selection of comments received – picked out from many hundreds of emails. Great Website!! It would have taken me hours to calculate what only took minutes on your site! Added your site to my list of must-write-downs for my college journalism students. Just wanted to say many thanks for the calculators. As a Personal Trainer, they are very helpful.